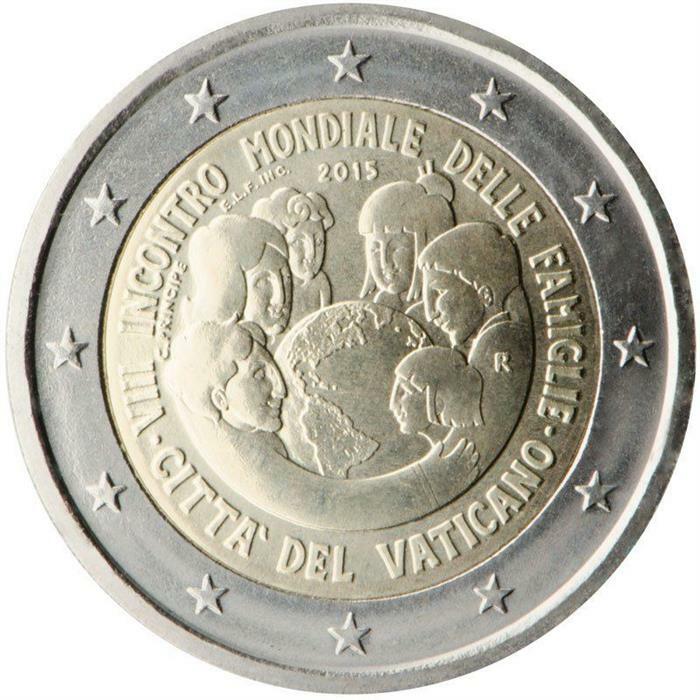 Home > bi-metal coins > base metal > 2015 Vatican €2 BU Coin "8th World Meeting of Families"
Please click here for the official anniversary web page in English! 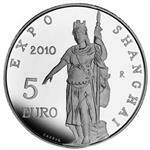 Issued on October 18, this coin celebrates the 8th World Meeting of Families. The World Meeting of Families is a four-day international conference generally held every three years and often in conjunction with a papal visit or appearance. It was initiated by St. John Paul II — another popular pontiff — in 1992 with the goal of strengthening family bonds. “As the family goes, so goes the nation and so goes the whole world in which we live,” John Paul II said. The 8th World Meeting, held in September 2015 in Philadelphia, also marked Pope Francis’ first papal visit to the United States. 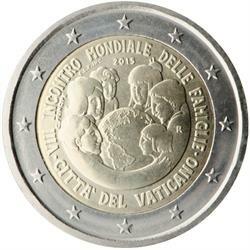 The reverse features a work by artist Chiara Principe and shows a symbolic embrace of the planet by two families of different ethnic origins as a way to signify the universality of the papal and Christian message.